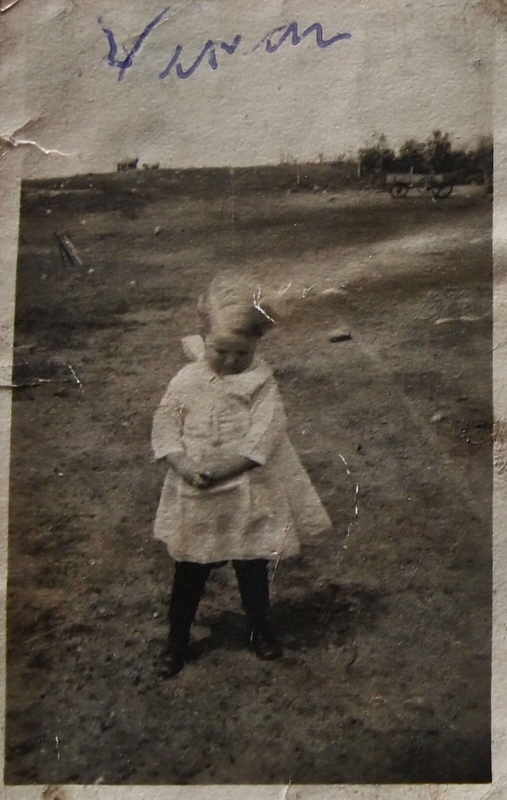 Vivian in the late-1910s on the Swedish-American farmstead just northeast of Bremen, Wells County, North Dakota. That is Vivian’s handwriting at the top of the photo too. It’s Mother’s Day (of course, every day is mother’s day). It is a holiday with origins in the post-Civil War (American) generation, championed by Anna Jarvis just after the turn of the 19th century. The idea was to get together all the moms who had sons die in the Civil War. Today we use it to recognized the heroine feats of motherhood. Molly and I drove over to Bismarck, North Dakota, to spend Mother’s Day weekend with Julie and Paul (my parents). I also got flowers for Molly’s late mother a couple days ago, because mothers are all around us. Always. Last night, before bed, Molly and I (or Molly and Me, which has a nice ring to it) stumbled into a family archive in Julie and Paul’s basement. Numerous photos from my late grandmother, Vivian Marie (Larson) Barth, who passed away a year ago this month. There are a lot of photos within the archive, and a personal project goal will be to digitize them, get family members digital copies, and then consider conversations with archivists at the State Historical Society of North Dakota or NDSU’s North Dakota Institute for Regional Studies or UND’s Special Collections for eventual curation. This is why we have state historical societies and regional archives: it captures what us global locals have been on about from one generation to the next. And it is better to digitize and then curate them with a sound archives than to keep them in a box in your basement (which can flood, or something like that). But back to Grandma Barth, and a couple photos I digitized for uploading purpose here. To celebrate Mother’s Day. The photo at top is of Vivian, taken likely in 1918 or 1919, just northeast of Bremen, northeastern Wells County, North Dakota. 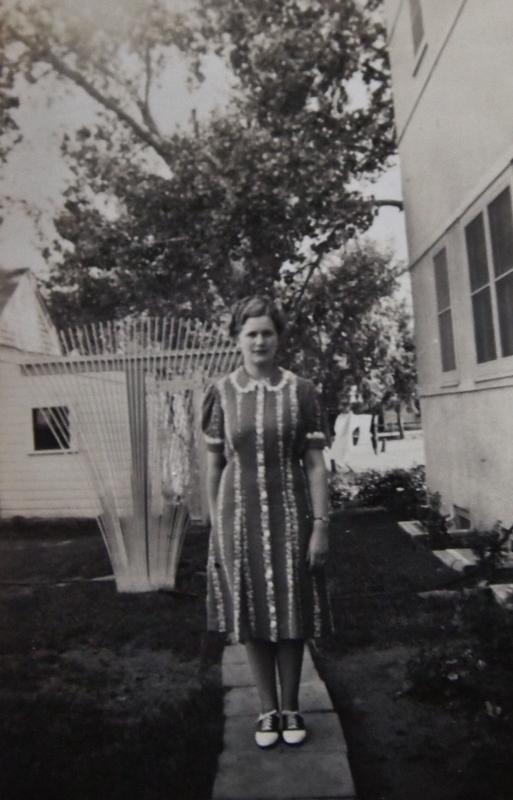 The second photo is of Vivian in the mid- to late-1930s, likely when she moved off the farm to Bismarck, North Dakota. 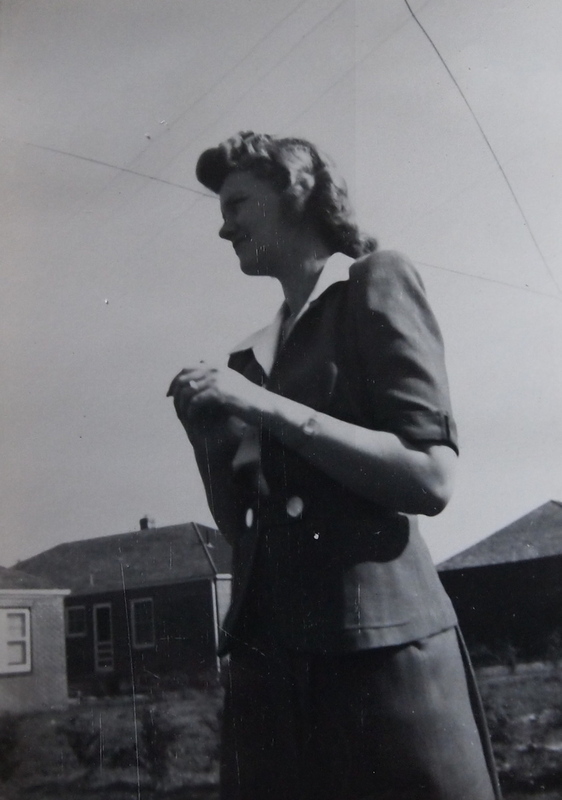 And the third photo was taken likely during or around the time Vivian was attending one of those late-1930s college programs to train as a secretary. She later held positions at the Bank and state capitol of North Dakota. She did this while tending to her three boys and husband (a total of four boys). She was loving (and still is), hard-working (I remember she gardened up until she was 91), and she babysat us grandkids countless times. Vivian in the late 1930s. When I was real little, I remember being bummed out when my parents left for a couple weeks of vacation (I am blessed with great parents, so I tended to get bummed out in their absence). To set me at ease, before bed that night my grandma recounted a story of how her dad at the age of 13 boarded a boat in Sweden with his uncle, and set out for Ellis Island and America. She reminded me, “He was only 13.” Grandma had a way with bringing gravity and reason to any situation that was or seemed stressed. She also made extra ordinary chocolate chip cookies, Swedish meatballs, and, well, you name it. Here’s to you, Vivian. And Grandma Christy (for another blog, perhaps next Mother’s Day). And here’s to the memory of all mothers, and to making memories with our mothers today. Vivian Marie (Larson) Barth, I’m thinking taken after she relocated from Bremen to Bismarck, North Dakota. This entry was posted on Sunday, May 11th, 2014 at 9:48 am	and tagged with Genealogy, History, Mother's Day, North Dakota, North Dakota State University, Public History, State Historical Society of North Dakota, Sweden, University of North Dakota, Vivian Barth, Wells County and posted in Uncategorized. You can follow any responses to this entry through the RSS 2.0 feed.